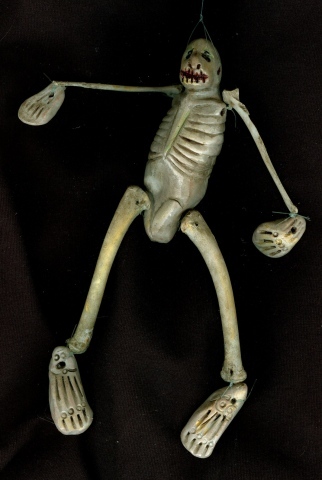 This dapper dancing puppet has chicken bone arms and legs and a whistling pelvis. He produces three melodious notes which interrupt his dance. His action as a puppet is random clogging only, but he could be strung as a marionette.